Five of the UK's biggest price comparison sites have been accused of "hiding" the best energy deals. The Big Deal website, which also helps consumers find cheaper energy, said the five were behaving unethically. It said they ask consumers whether they want to switch "today", if yes, it claims all the deals that do not earn commission are filtered out. The five companies said their websites are transparent, and conform to the regulator's code of practice. However the regulator, Ofgem, said it was already thinking of updating its code, to give better protection to consumers. The Big Deal has written to the five websites - uSwitch, Compare the Market, MoneySuperMarket, Go Compare and Confused.com - to complain. It said all five use a mechanism on their site that asks consumers if they want to switch immediately. By clicking "yes" to that question, all the deals that do not earn the company a commission are filtered out. Only if a consumer clicks "no" are they shown other deals, which can be cheaper. However, without an agreement between the supplier and the website, consumers are unable to switch to such deals immediately. The Big Deal said some websites have a default "yes" on that question, which makes it even harder for consumers to see the best deal. In response, the price comparison sites said the options displayed on their websites were perfectly clear. Dan Plant, the editor in chief at MoneySuperMarket, said, "The option for customers to filter results - to only see products they can buy through MoneySuperMarket.com - is displayed clearly and prominently, and is necessary as some providers choose not to list products on comparison websites." It denied hiding the best deals. "Currently the cheapest 10 tariffs on the market are shown to all customers using our website," said Mr Plant. Confused.com said customers could see every available tariff on its website, and it was committed to transparency. "Some suppliers do not make certain tariffs available through comparison sites, so we give customers the option to exclude these from the results," said Kate Rose, the head of energy at Confused.com. GoCompare said it did not have a "buy now" or "buy today" option, and said it made it clear that other tariffs are available, if not through the website. Most of the websites involved told the BBC that they also adhere to Ofgem's Consumer Confidence code, designed to protect people switching. However Ofgem said it was already working on plans to change its code, so that customers are able to view all the tariffs, regardless of the commission the website will earn. "In general we are looking to expand the code and improve it," said an Ofgem spokesman. 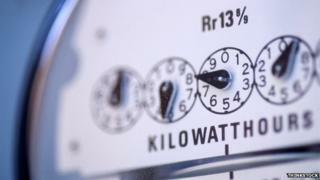 "Price comparison websites are a good place to start when you're shopping around for energy deals. Consumers value these services, and we believe they can help make the energy market more competitive. "We are currently revising the Ofgem confidence code to push price comparison sites to higher standards of reliable information by making the whole of market comparison easier to see. We're proposing tougher new rules to the code to make commission arrangements clearer." It is aiming to bring in the new code some time next year. The Big Deal has also written to complain to the Competition and Markets Authority (CMA), which is already carrying out a review of the energy market. A CMA spokesman said it would examine the complaint, as part of its wider enquiry.